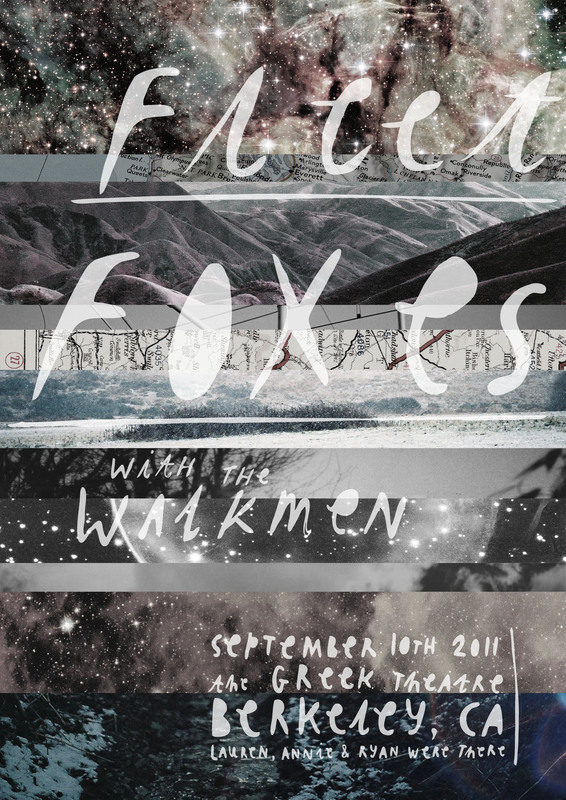 So here is a poster for a Fleet Foxes gig that my friend said was the best gig she’s ever been to – so for Christmas I designed a poster for her. I’ve been wanting to put this online for ages but it would have given the game away! I tried to keep it all quite organic and fitting to their music. Quite pleased with the outcome, if I may say so myself.